Best of Omaha voting ends August 20! 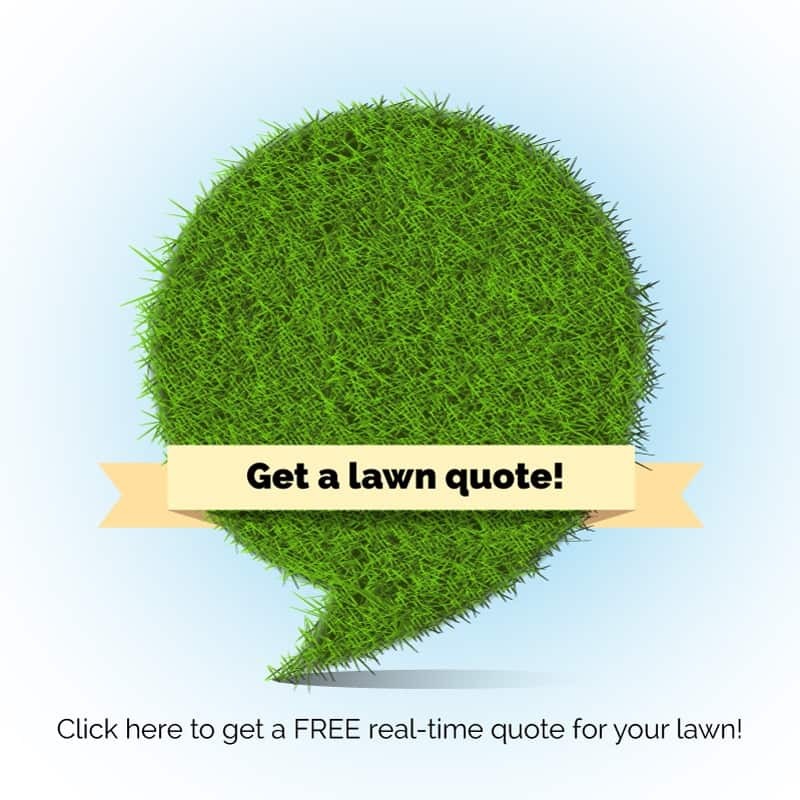 The Best of Omaha Lawn Care category is one we’d like to win…with your help! The Best of Omaha campaign was started by the Omaha Magazine in the 1980s as a way to vote for favorite Omaha businesses. Today, there are 176 categories in which to vote. 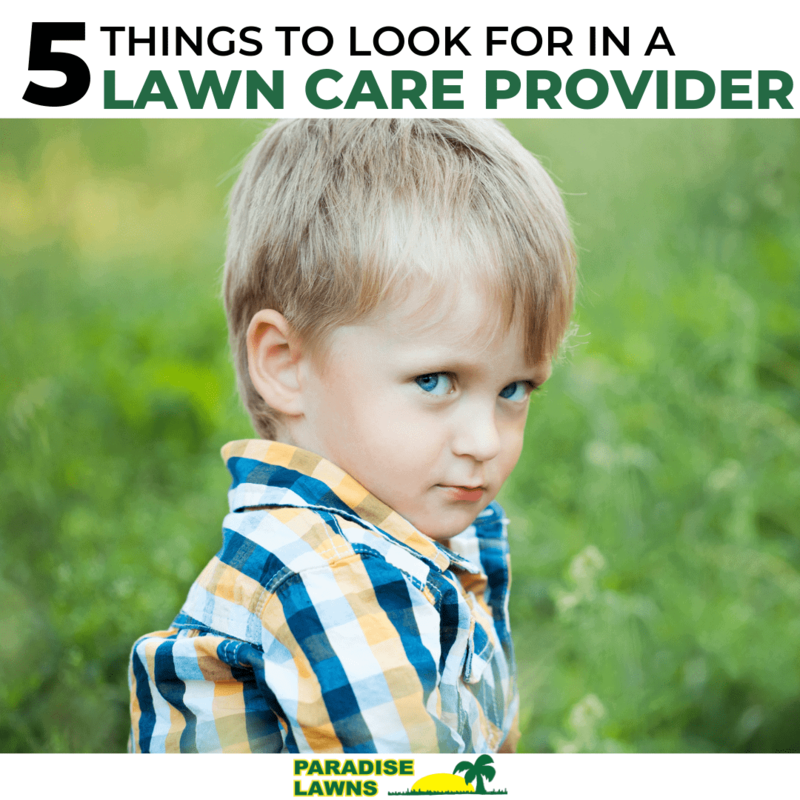 “Lawn care” is the category we’d appreciate a vote in! 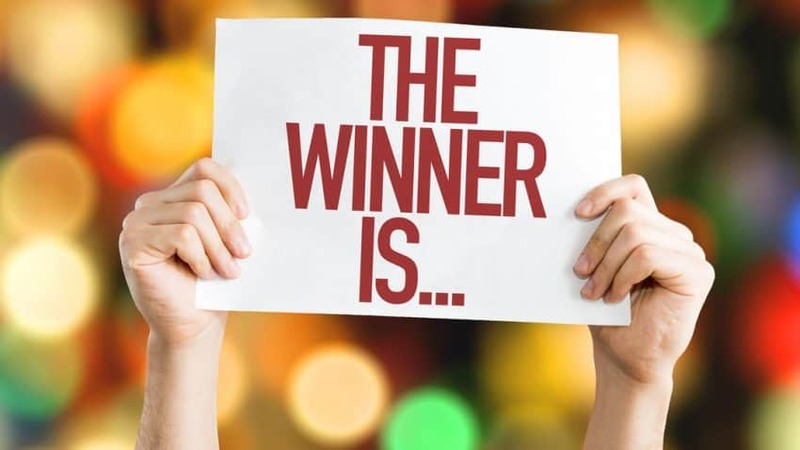 Remember: you must vote AND email your proof of voting certificate to us by Sunday, August 20 to enter to win! Simply visit BestofOmaha.com/28872 and enter 28872 in the Quick Vote Code section. After voting is complete, simply forward your Proof of Voting Certificate to us at info@paradise-lawn.com to be entered to win! 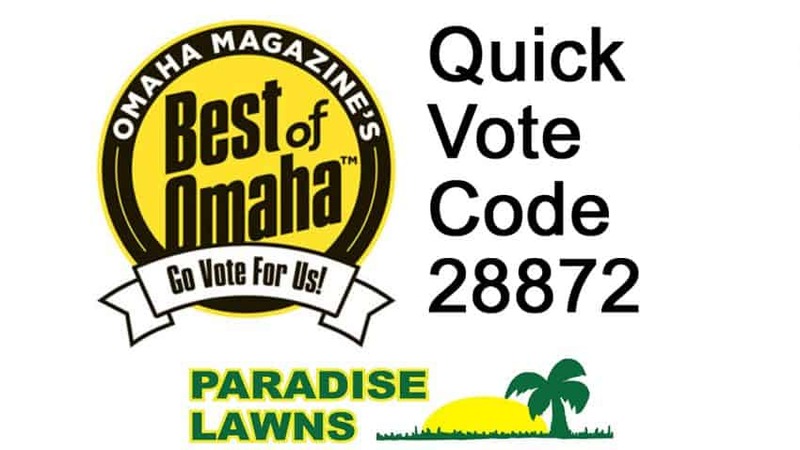 You do NOT need to vote for us in Best of Omaha Lawn Care…but we’d sure appreciate it if you did! Oh, no! I already voted but want to vote for Paradise Lawns! What should I do? No worries! According to Best of Omaha, you can actually use the email you registered with to return as often as you like to add to or modify your ballot! Watch Dave’s interview on WOWT about our holiday lighting services! You can read more about the interview on WOWT News’ website. Wow–you nominated us for the 2016 Readers’ Choice Awards! 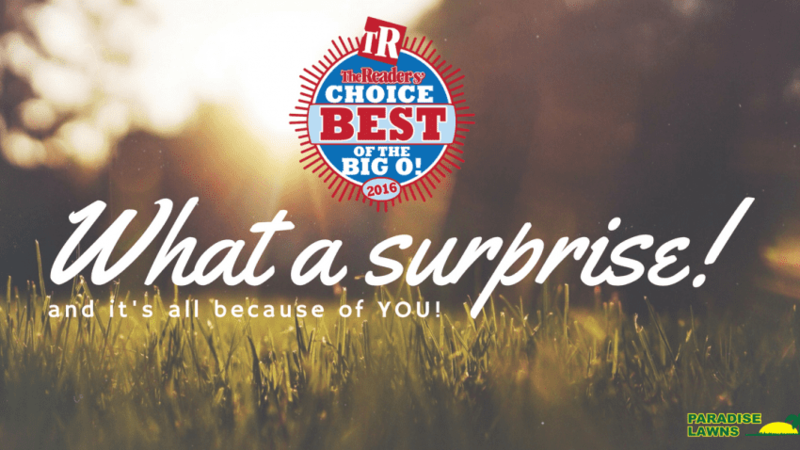 2016 Readers Choice Award for Best Lawn Care Service!